Fastrack has launched the Reflex Wav, a new device in the company’s wearable line-up which is claimed to be the world’s slimmest smart band that has support for gestures to accomplish tasks such as controlling music playback, attending calls and checking notifications among others. 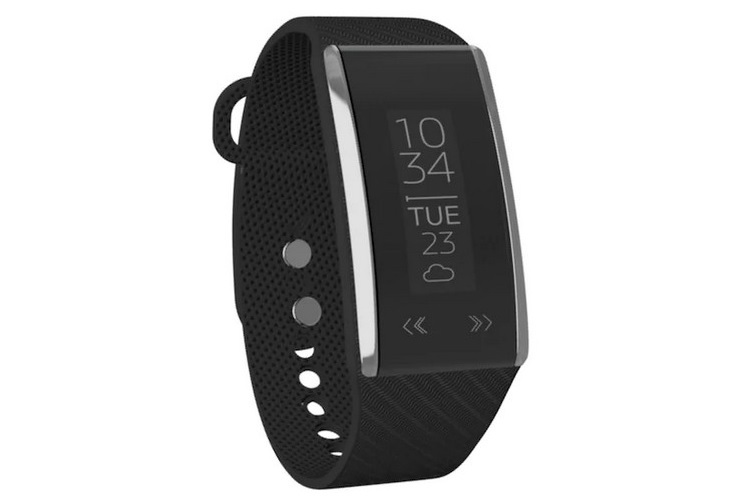 The Reflex Wav smart band has been priced at Rs. 4,995 and is already up for orders from Fastrack’s official website. The Reflex Wav is just 9mm thin and comes with a charcoal black band which has a dotted pattern on the inner surface to offer maximum comfort. The new wearable device from Fastrack comes with an IP67 rating for protection against occasional splashes and dust, while the inbuilt sensors allow the device to monitor parameters such as steps walked and calories burnt during a workout. 24-hour active sleep tracking and automatic weather updates are also on board. As for the Reflex Wav’s gesture support, well, they can be customized to perform a wide array of tasks. For example, users can twist their wrist to control music playback, click photos using their smartphone’s camera or mute an incoming call. Users can get notifications from a wide range of apps which can be selected using the companion Reflex Wav app for Android and iOS. The device also sends vibration alerts to remind users of an event on their calendar or simply wake them up. There’s also a second-city time feature. The Reflex Wav is powered by a Qualcomm processor and is claimed to provide a battery life of up to 5 days on a single charge.